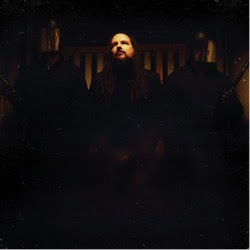 January 26, 2018 – Jonathan Davis, the storied frontman of critically lauded rock band Korn, has released “What It Is,” the diverse and distinctive first single from his forthcoming debut solo album. The new track, which premiered on SiriusXM’s rock station Octane, is set for release on Sumerian Records in Summer 2018. “What It Is” is available now: PRESS HERE to Purchase | Watch Music Video. Davis is no stranger to finding success while pushing the boundaries of music. His work with Kornyielded two GRAMMY® Award wins, eight GRAMMY® Award nominations, worldwide sales of 40 million-plus, and countless sold out shows in nearly every corner of the globe. Throughout over 20 years in music, his presence has coursed through film scores, popular video game franchises, and official remixes for the likes of Steve Aoki and more. Along the way, he has also lent his voice to tracks for everyone from Linkin Park to Tech N9ne.